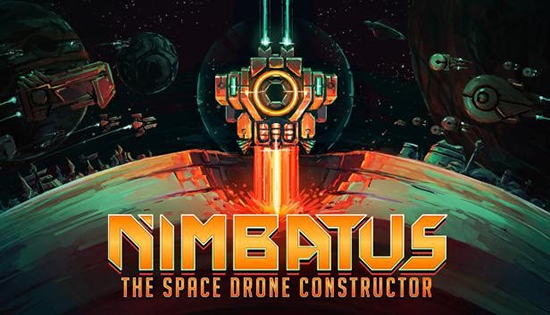 Nimbatus - The Space Drone Constructor is an action-packed simulation game about space exploration, science and creativity. Players can craft drones out of hundreds of different parts and explore a destructible, procedurally generated galaxy. Drones can be controlled by players or function as fully autonomous entities using logic and sensor parts. Autonomous drones can be entered to fight other players' creations in the arena in an attempt to climb up the leaderboards. The Nimbatus – the biggest mobile drone factory ever made - was sent out to space. Its mission is simple: to gather as much information about the universe as possible and to find the far ends of it. But beware! There are going to be many encounters hindering this mission. Far from home, the Nimbatus is seen as an unwelcome intruder; taking on tasks related to new discoveries, population control and environmental disasters won’t be easy. It is vital to mine rare resources, advance research and experiment with technologies to combat unknown threats and explore uncharted galaxies. After successfully completing a Kickstarter in December 2017, Stray Fawn Studio developed Nimbatus together with its supporters and fans, recently winning the 'Tencent Game Innovation‘ and a 'GDC Best in Play‘ award. “Nimbatus - The Space Drone Constructor” on Steam Early Access on October 3rd for PC, Mac and Linux for $19.99.